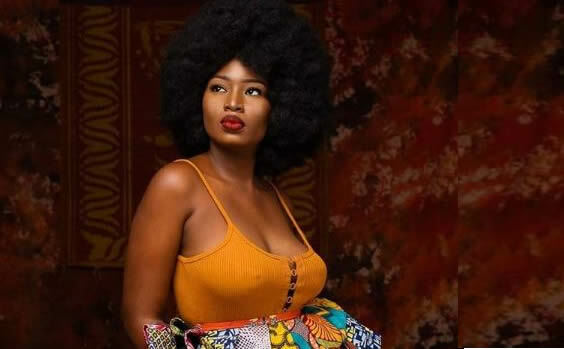 These days, bleaching is arguably common, especially in the entertainment industry, but Bimpe Oyebade, a professional model turned actor and movie producer, has said that she has never thought of changing the colour of her skin just to fit in. She said, “I started acting professionally in 2017; after I featured in a movie, I got positive responses from the audience. I have never been tempted to tone or bleach my skin at all. My dark skin has always been a blessing to me even before I started acting. I get a lot of opportunities because of the colour of my skin. “When I started acting, my parents were sceptical about my decision but after I featured in a movie and got positive responses from my fans, I was motivated. My mum was scared of me going into acting initially because of the kind of stories she hears about celebrities, but I explained to her that I was really interested in it and she supported me. After she watched my first movie, she was convinced. I have never had any challenging role, but I have noticed a lot of people like me when I cry in movies.” Oyebade, who recently produced her third movie about a cancer patient, noted that it was an adaptation of a true life story. “My recent movie is actually a true life story; the plot was inspired by what someone has passed through while battling cancer. I upload my movies on the Internet because of my international fans. I have always had a passion for story-telling,” she said. Interesting! She is truly trending on this site. Wondering why?